Shop, and save on sales tax August 3-5! The 2018 sales tax holiday will take place over three days beginning on Friday, August 3 through Sunday, August 5. This year’s tax-free rules apply to clothing, footwear and certain accessories that cost $60 or less per item and school supplies that costs $15 or less per item. Sales of clothing or school supplies in a theme park, entertainment complex, public lodging establishment or airport. For a complete list of exempt and non-exempt items, please CLICK HERE. Shop, and save this weekend! 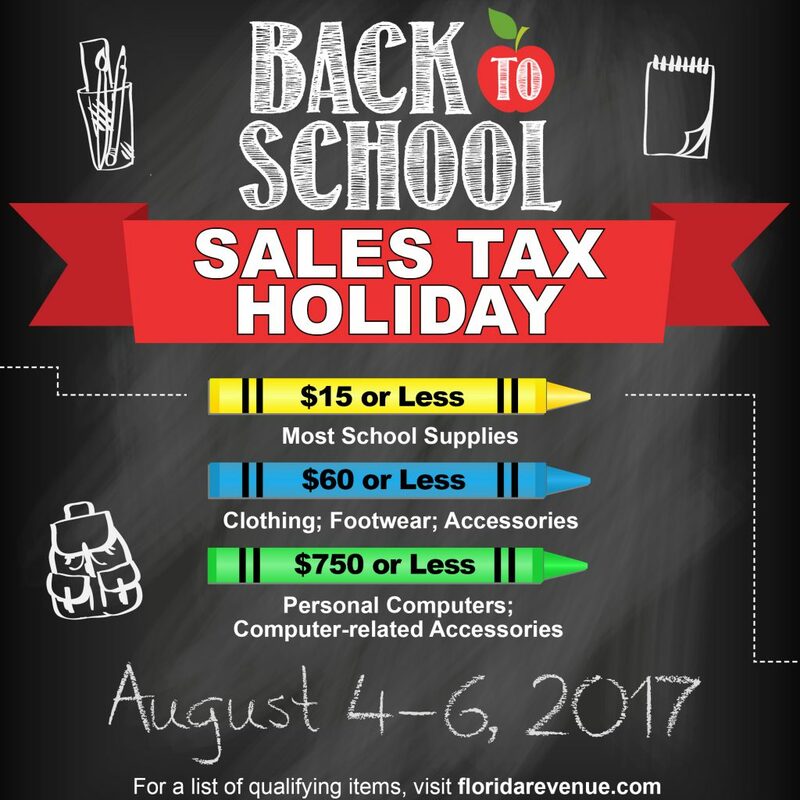 The 2017 sales tax holiday will take place over three days beginning on Friday, August 4 at 12:01 a.m. and running through Sunday, August 6 at 11:59 p.m.
It’s almost school time again! Find 2017 back-to-school bashes, health fairs and donation drives in Polk County below. When: Saturday, July 22, 10 a.m.-1 p.m.
What: Stop by this back-to-school event featuring speakers and a guest appearance by Smart Mouth’s Jason Alexander as well as free haircuts, backpacks and food. When: Saturday, July 29, 10 a.m.-12 p.m.
What: Join Polk County Parks & Recreation for this free family event featuring free school supplies for children entering kindergarten through the fifth grade (first come, first served). Families will also enjoy music, educational exhibitors and children activities. When: Saturday, July 29, 9 a.m.-11 p.m.
What: Auburndale’s Life Church will hold a giving for over 700 free school backpacks filled with school supplies for needy families. When: Saturday, July 29, 8 a.m.-1 p.m.
What: To introduce New Beginnings High School to the Lakeland community, the school is hosting Summer Palooza so that families and children will have the necessary resources to go back to school. New Beginnings’ Summer Palooza will provide necessities along with educational guest speakers, a warm meal, and entertainment throughout the morning. When: Friday, August 4, 6 p.m. – 9 p.m.
What: Join the Downtown Lakeland Partnership, MidFlorida & Southeastern University as well as community vendors in celebrating the start of a new school year with school-themed activities. First Friday features free family-friendly entertainment, activities, live music, art receptions, a car show, and the opportunity to check out a great, locally-owned restaurant or retail establishment on the first Friday of each month. When: Saturday, August 5, 10 a.m.-1:30 p.m.
What: Stop by for free basic back-to-school haircuts, a one-week food supply giveaway, a dunk tank, games, bounce houses and more! When: Saturday, August 5, 5-7 p.m.
What: This event is sponsored by Mulberry’s local churches and hosted by the City of Mulberry. Enjoy free food, a basketball tournament, a corn hole tournament, live music, inflatables and more. Backpacks will be distributed at 4pm for those who have pre-registered at the Mulberry Community Center. Stick around for the night swim happening at the Mulberry Community Pool directly after. When: Saturday, August 5, 10 a.m.-1 p.m.
What: This event will feature face painting, crafts, games, music, a girls beauty workshop, snacks, free backpacks (first come, first serve and must be present), special guest Marilita and more. When: Saturday, August 5, 6-8 p.m.
What: Get ready for school with the Lake Alfred Library. Win some school supplies, have dinner and get raffle tickets. What: Stop by to meet local law enforcement, the Fire Marshal, FHP, etc. as well as to enjoy music, bounce houses, food, games and receive free school supplies. When: Saturday, August 5, 10 a.m. – 2 p.m. When: Saturday, August 12, 12-3 p.m.
What: School is in session, and we are making a big splash about it. Join the City of Winter Haven for a free family event for school-age children (6-17) for a day of games, food, music and bounce houses at the Winter Haven Recreation and Culture Center Pool. When: Saturday, August 19, 12-3 p.m.
What: Join the Eagle Ridge Mall for free family fun and great giveaways, including school supplies and gift cards. When: Saturday, July 29, 10 a.m.-1 p.m. When: Saturday, August 5, 10 a.m.-5 p.m.
What:All donated clothes will benefit the girls we serve in our Wearing Confidence Program. Clothes can be dropped off either at the Top Buttons Boutique or Viva Vitality. Two views of Dr. Jenny Reed’s ACT Prep class at Chain of Lakes Collegiate High School. 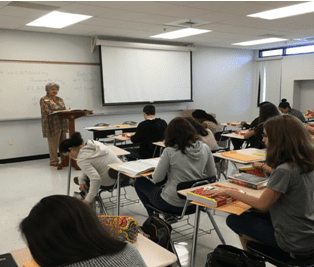 Among the students returning to Polk County School classrooms, over 200 high school juniors and seniors entered classrooms taught by Learning Resource Center instructors. LRC faculty taught classes in ACT Preparation and College & Career Planning at Chain of Lakes Collegiate High School. 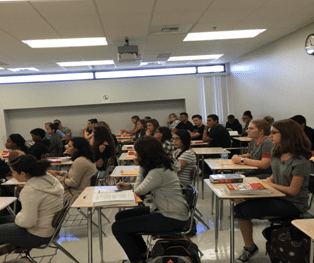 COL is a public school chartered by Polk State College on its Winter Haven campus, and its students are enrolled in both high school and college classes. Since PSC faculty does not return until next week, LRC was invited to run mini-courses, offering enrichment not often an option in the regular schedule. Principal Bridget Fetter utilized a mismatch in scheduling to provide a propitious opportunity for students to improve their critical test-taking skills and to take time to explore education goals and career paths. It’s back-to-school time! 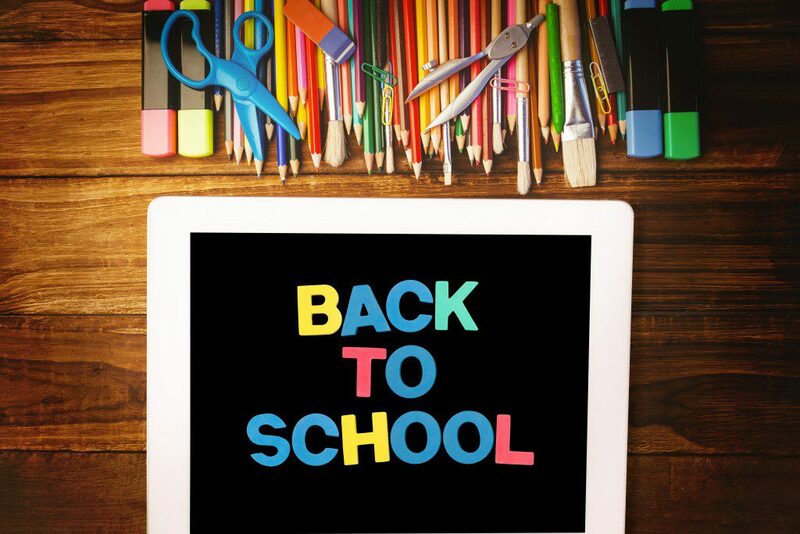 Scroll down to find details on the first day of school and the 2016 sales tax holiday as well as local events, health fairs and donation drives. When: Sunday, July 30, 10 a.m.-12 p.m.
What: Polk County Parks & Recreation’s Back to School Bash is a free family event. Families will get to enjoy free school supplies for children kindergarten through the fifth grade (first come, first served). Families will also enjoy music, educational exhibitors, and children activities. This event will help children start the school year off on the right foot. When: Saturday, July 30, 10 a.m.-2 p.m.
What: The “Circle of Love Project” (comprised of local churches, businesses and the City) will provide back to school supplies for Winter Haven area children. Supplies and book bags geared towards grades K – 8, will be distributed to children in need with educational, financial and health vendors on site. Everything will be distributed on a first come, first served basis. An adult and child(ren) must be present to attain a ticket for the free book bag and school supplies. There will also be bounce houses, free food, music and swimming from 12 p.m. – 3 p.m. for ages 5 – 17. When: Saturday, July 30, 9 a.m.-11 p.m. When: Friday, August 5, 6 p.m.-9 p.m.
What: Free, family-friendly entertainment, activities, live music, art receptions, a car show, and the chance to check out a great, locally-owned restaurant or retail establishment. Augusts’ event theme is Back-to-School sponsored in part by MIDFLORIDA Credit Union. 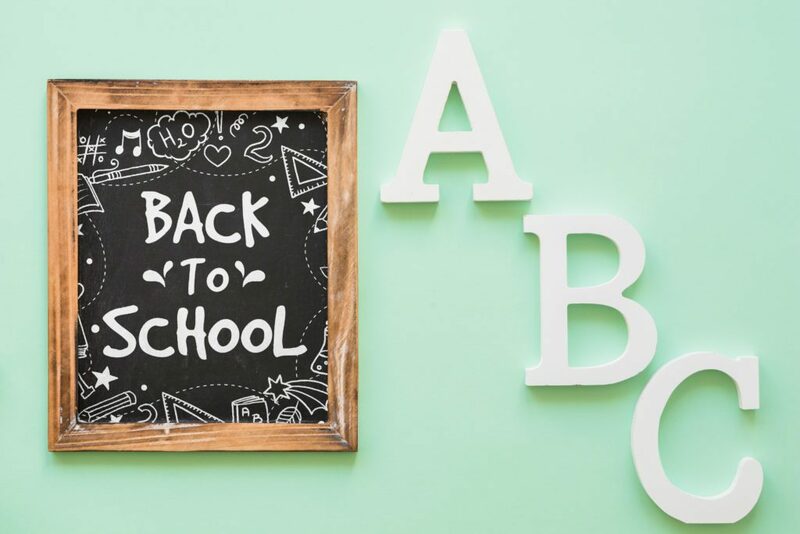 When: Saturday, August 6, 10 a.m.-3 p.m.
What: To introduce New Beginnings High School to the Lakeland community, the school is hosting Summer Palooza so that families and children will have the necessary resources to go back to school. New Beginnings’ Summer Palooza will provide necessities along with educational guest speakers, a warm meal, and entertainment throughout the day. When: Saturday, August 13, 8:30 p.m. – 11 p.m.
What: Enjoy a showing of “Finding Nemo” while swimming in Mulberry’s own Community Pool. Admission is free, however guests must be residents of the City of Mulberry. Children under the age of 15 years must have a valid Pool ID. When: Saturday, August 13, 10 a.m. – 12 p.m.
What: This free event is aimed at preparing family in the community for the new school year by providing free health screenings, health information, child safety information and more. There will be a backpack giveaway with school supplies for school-age children. There will be also be fun activities and entertainment for kids including games and a petting zoo. When: Saturday, August 20, 10 a.m. – 2 p.m. Whole Foods Market Florida Back to School Lunch Giveaway! When: Sunday, August 7 & August 14, 12 p.m.
What: Whole Foods Market Back to School Lunch Giveaway- Get a complimentary lunch without any artificial colors, flavors, sweeteners or preservatives for your child (12 and under) for the first day of school. What: A Central Florida Health Care back to school health clinic featuring CFHC school supplies and backpacks also. When: Saturday, August 6, 10 a.m.-1 p.m.
What: Good health is the best back-to-school supply your child can have. So don’t miss our free Back-to-School Health Fair that combines health and safety education with fun for the whole family! – The Bartow clinic does not provide childhood immunizations. – Appointments are recommended, although walk-ins are accepted. – All but the Auburndale clinic are open 8 a.m. to 5 p.m. Monday through Friday. At Auburndale, the immunization clinic hours vary by day. When: Friday, July 29, 10 a.m. & 12 p.m.
What: Mulberry Phosphate Museum will host two family-friendly close encounters with Florida’s wildlife and Tim Williams as a way to gain school supply donations. Reserve your place at mulberryphosphatemuseum.org. For admission, please bring two school supply items to donate. 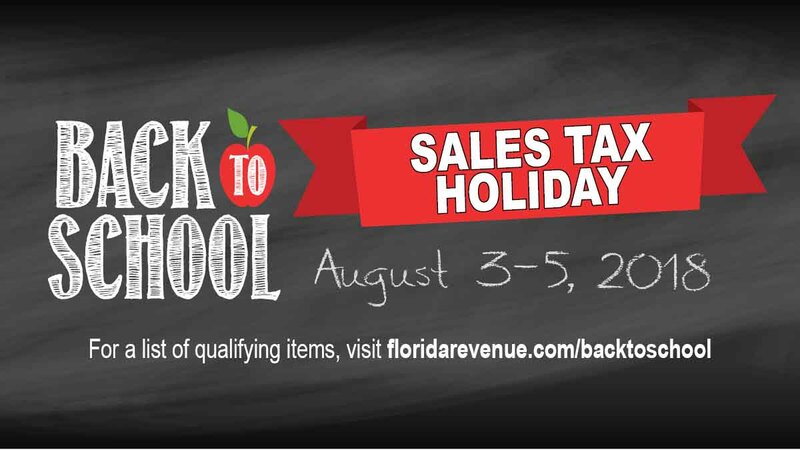 The 2016 sales tax holiday will take place over three days beginning on Friday, August 5 at 12:01 a.m. and running through Sunday, August 7 at 11:59 p.m. Different from last year, this year’s tax-free rules apply to clothing, footwear and certain accessories that cost $60 or less per item and school supplies that costs $15 or less per item. For a complete list of exempt and non-exempt items, please visit dor.myflorida.com. School bells will be ringing soon, signaling that classes are back in session. 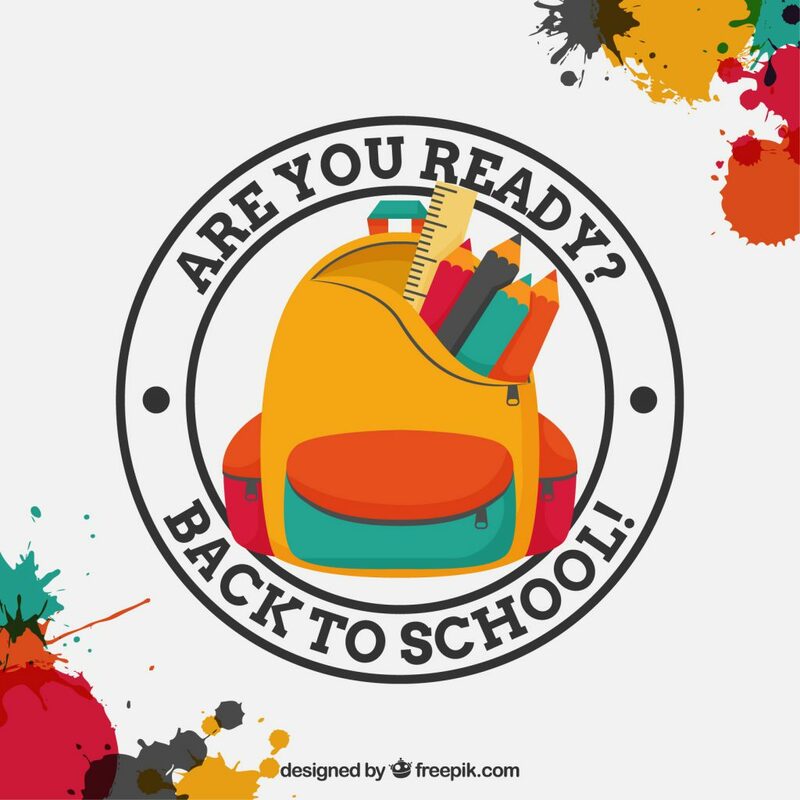 Before the 2015-2015 year begins, have some fun, get informed, and help other teachers and students at these back-to-school bashes, events, and donation drives taking place throughout Polk County. When: Saturday, August 8, 10:00 a.m.-2:00 p.m. When: Sunday, August 9, 10:00 a.m.-12:00 p.m. When: Saturday, August 15, 10:00 a.m. – 1:00 p.m.
What: Food, entertainment, various groups with information and resources for children and parents, haircuts, various back-to-school services and games. When: Tuesday, August 18, 7:30 a.m. – 9:00 a.m.
What: EMERGE Lakeland is giving back to some hardworking Polk County teachers! Volunteers will meet at Crystal Lake Elementary for a light breakfast before helping teachers prepare their classrooms for the 2015-2016 school year! When: Saturday, August 22, 10:00 a.m.-2:00 p.m.
What: Many local businesses have come together to provide the community with fun, food, hairstyles, bounce houses, kids craft workshops, health testings, live entertainment and valuable giveaways for this extravaganza. The Guest Speaker will be Altrichia Cook, CEO of Allusions By A.Lekay. School Supplies will be given to a limited number of students. *Parents must PRE-REGISTERfor the school supply packages. When: August 29, 1:00 p.m.-4:00 p.m.
What: Enjoy food, water slides, bounce houses, games, music, and more at this free community event geared towards ages 6-17. When: Friday, Aug 8 10:00 a.m.-1:00 p.m.
What: Celebrate back to school with Heart of Florida. School-aged children can enjoy Heart of Florida’s Kid Clinic: a hands-on learning opportunity focused on staying healthy, exercising, and eating right. Heart of Florida’s Teddy Bear Clinic: a special check-up for your child’s teddy bear. Education on concussion awareness, early learning programs, a healthy eating initiative, and more, provided by Nemours Children’s Hospital. Local pediatricians, physicians, police, and EMS offer info on back-to-school screenings & discounts, and keeping kids safe during the school year. Enjoy the fun zone with free crafts, face-painting, and activities. When: Friday, Aug 14, 8:00 a.m.-3:00 p.m.
Stuff the Bus is Central Florida’s largest back-to-school campaign. In addition to the traditional school supplies that are needed such as pens, pencils, wide rule paper, folders with prongs, crayons, markers, backpacks, glue and erasers, you may also donate copy paper, facial tissue, index cards, highlighters, hand sanitizer, zip lock bags, and pencil boxes. Stop by Hall Communications located at 404 West Lime Street in Lakeland between on Wednesday, August 19 between 7:00-8:30 a.m. to deliver your drop-off. Stuff the Bus is taking place throughout Polk County. Here is a list of Lakeland drop-off sites leading up to the August 19th event: Learning Resource Center, Red Elephant Pizza and Grill, Victory Church, Lakeland Association of Realtors, Regal Lakeland, Maximize Digital Media, and The Doggie Bag Boutique. Please visit http://lrcpolk.com/stuff-the-bus-for-students-in-need/for more information. Winter Haven Stuff the Bus Info. PACE Polk could use your help with school supplies. They will welcome 48 girls on August 17, and could use supplies such as pencils, binders, notebooks, crayons, dictionaries, markers, glue sticks, and more. Please contact Mayelin Quintero at 863-688-5596 or mayelin.quintero@pacecenter.org for more information on how you can help. You can also find a list of needed supplies on Facebook at https://www.facebook.com/PaceCenterPolk. Pace Polk is located at 101 West Main Street, Suite 140 in Lakeland. 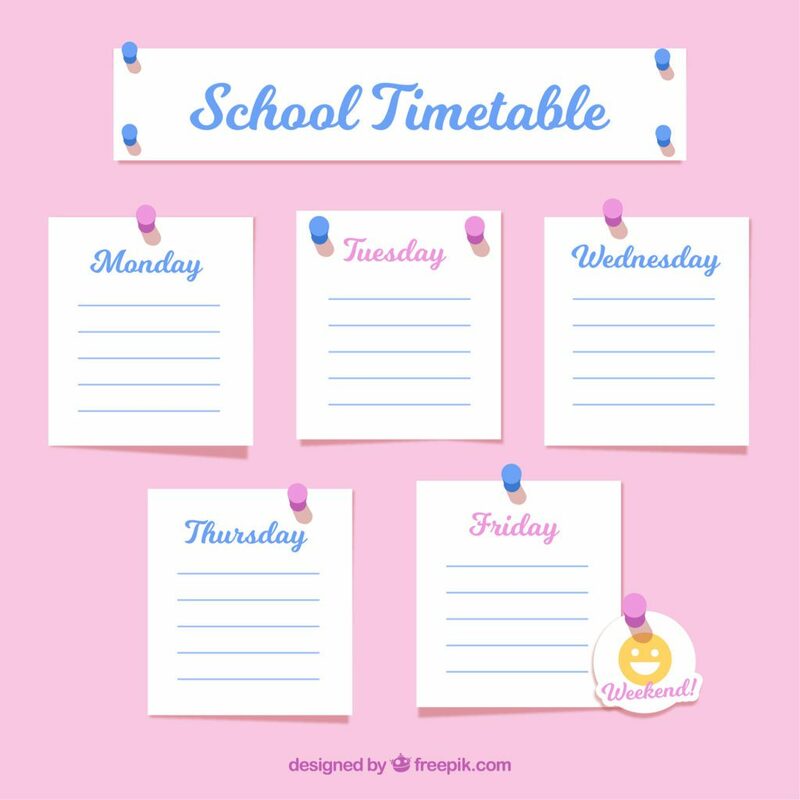 August has arrived, which means school will be back in session soon. August is also the opportune time to enroll your student in One-to-One Tutoring with LRC. Don’t wait until your child is failing to think about tutoring assistance. If you know of an area your child needs extra attention or if you just feel like your child could use a boost, we can help. Be proactive this year, and help your learner begin the school year on the path to success that will continue throughout the year. As an added incentive, we are offering an August Back-to-School special for those who have tutored with us before. Returning LRC students will receive their first hour of tutoring for FREE using the coupon below. Don’t wait because the offer is only good through the end of the month (August 31, 2015). Only one coupon per student is valid. Please feel free to share the offer with others who may be interested and to whom it may apply, as well. LRC tutoring sessions offer flexibility when it comes to schedule or location. We allow you the freedom to work with your qualified instructor to decide these details. You may also request a specific tutor if you have one in mind. Tutoring services are available for elementary school, middle school, high school, and adult students in a wide variety of subjects including reading, language arts, math, foreign languages, spelling and phonics, science, social studies, test preparation, and more. Our goal at LRC, is to ensure that our programs and services are designed for individualized instruction because we know that everyone learns differently. This customized approach allows each student the ability to reach their maximum potential. For more on our tutoring services, please visit lrcpolk.com/1-to-1-tutoring. Please do not wait to contact us. We are ready to help!